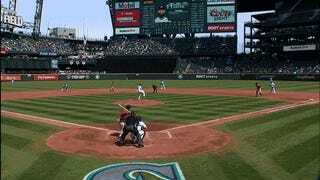 The Mariners fortuitously escaped a jam in the fourth inning against the Astros today when Houston’s Evan Gattis made a Little League-level mistake and forgot how many outs there were, gifting Seattle a triple play. Gattis was batting with no outs and runners on first and second when he hit a ball to third. 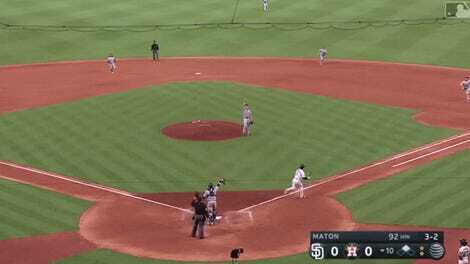 Kyle Seager stepped on the bag for one out, then tossed it over to Robinson Cano at second for two, but Gattis ran fast enough that Cano didn’t even try to finish off the triple play—at least, until Gattis started trotting off the field. By the time the Mariners noticed their luck, Gattis was off the basepaths and called out. It’s pretty slow and anticlimactic for an accomplishment as rare as a triple play. 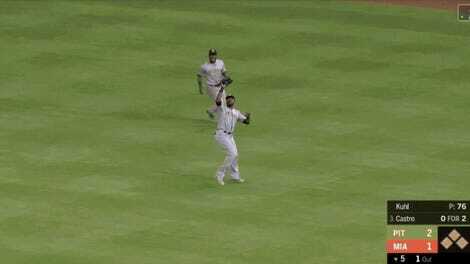 But once Gattis realized his screwup, it would have been even sadder to see him try and hustle back to first. SEATTLE — From the back dining room inside the visitors clubhouse at Safeco Field, Evan Gattis entered the main room near his locker. “Does anyone want to talk to me about my dumba— play,” the designated hitter bellowed.